Real Madrid return to action this weekend in the La Liga when they welcome Levante to the Santiago Bernabeu in a must-win encounter that could easily pass for a final for Julen Lopetegui. The Los Blancos have received a welcome boost ahead of the game on the injuries front as there will be some key returnees to the side ahead of the game. Julen Lopetegui’s men are scoreless in their last 4 games in all competitions. However, the goal drought should come to an end as reports from AS suggest that the likes of Gareth Bale, Marcelo, Karim Benzema, and Isco Alarcon have all returned to training. The quadruple have been very influential and have contributed immensely to Real Madrid’s numbers in attack and their presence in the team to face Levante is obviously a welcome development. Bale will definitely receive the utmost welcome as the Welshman has scored 4 goals and provided 3 assists for the side this season. Hopefully, he’ll be passed fit to play the game. 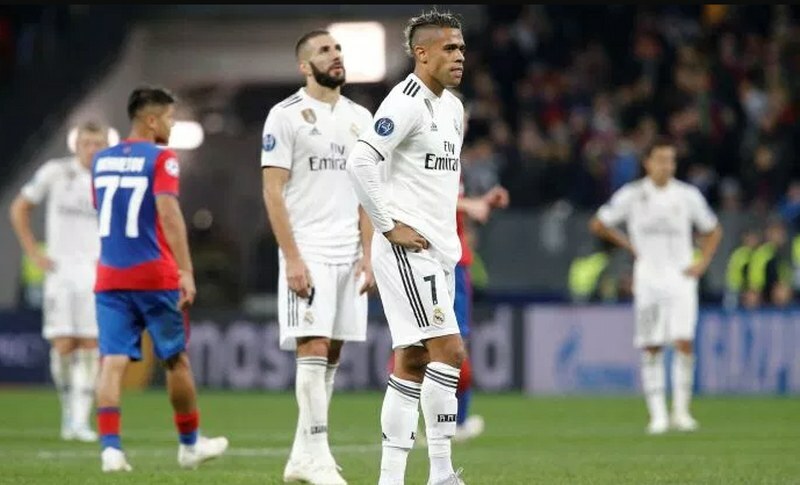 Meanwhile, regardless of Real Madrid’s apparent poor form, Levante has not been one of the sides that have posed a significant threat to them in recent times and in the past. However, it can be recalled that Levante avoided a defeat in their last visit to the Bernabeu in a 1 all draw. Regardless of that, the Los Blancos have won 8 of the last 10 La Liga meetings between both sides at the Bernabeu with 2 draws. Julen Lopetegui will be keen to see his men return to winning ways and see the spotlight taken away from his side over their recent performances. Madrid are favorites for all 3 points in this one, and any outcome that sees them end up without all 3 points will definitely not be good for the future of Lopetegui at Madrid going by recent speculations. With the likes of Isco, Marcelo, Benzema, and maybe Gareth Bale, the Los Blancos should get all 3 points from this one.